Been in my pyjamas since around 3.30pm, when I arrived home to an Epsom Salts Bath, and trying to sort out boring life laundry like unpacking and actual laundry, after a totally fabulous 48 hours on ‘After Breast Cancer Diagnosis Exercise Retreat‘ – hard work, but an excellent balance of challenge and encouragement with a group of fabulous women, all of whom are in recovery from breast cancer and/or living with secondaries, run by the fabulous Jo Taylor who’s a great enthusiast for the benefits of exercise in managing fatigue and living life to the full however you’re living with cancer. Considering I’ve largely been in bed 10pm-ish through to 9.30am, it was an ‘early start’ for Saturday morning, with a breakfast of toast, hot chocolate, fruit, etc. 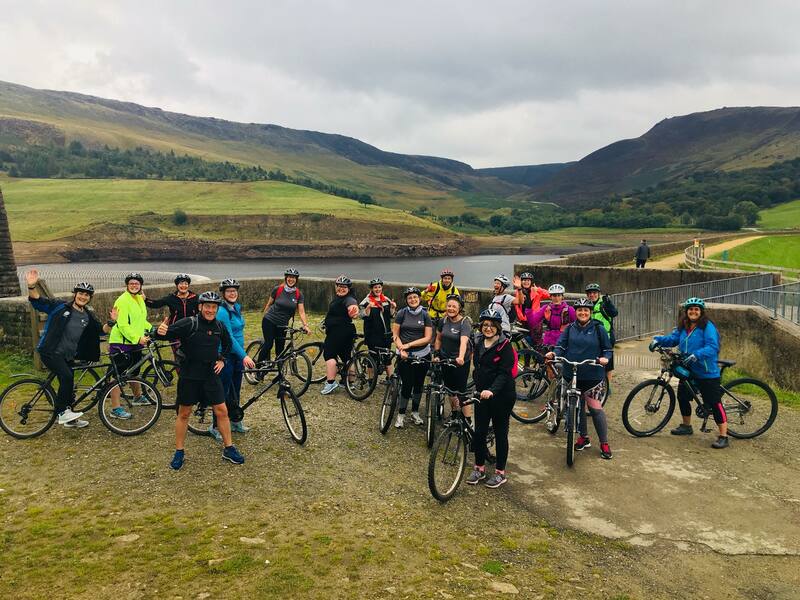 Thankful to see that the weather looked like it was going to largely hold dry and clear, we set off for Dovestone Reservoir. After a few stretches, we were asked to hop, skip and jump down the road (literally) to warm up. We then set off at a scout’s pace for around 2 miles to the Sailing Club for a brief stop – despite having done 10ks in the past, I’ve not been able to run for years (shin splints), but we did some jog-walk-running and made it to the end of that (the bit I’d been worried about most). Cycling is much more up my street (before diagnosis, I cycled to-from work, around 12 miles a day), so I was looking forward to this, although the first steep hill was a bit of a killer, as was a steep downhill (and the saddles were a little ‘sharp’). Got a chance at one point to ‘go free’ and enjoyed that … must get out and about more on my bike (but generally I only like it to get somewhere… and I wonder what would be an easy bike rack for a smart car, otherwise it’ll have to wait til I’ve got enough energy to cycle and work in a day). 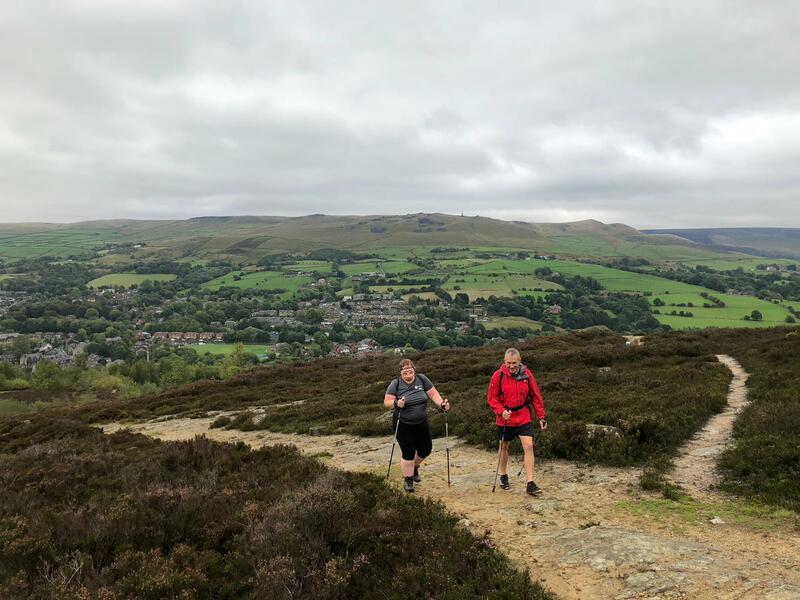 Another early morning, quick check-out, and then a change of plan – we had expected to go up ‘Pots and Pans‘ for a fabulous view, but a burst of torrential rain, and a forecast of much more rain, meant time to head for Moorgate Quarry instead. 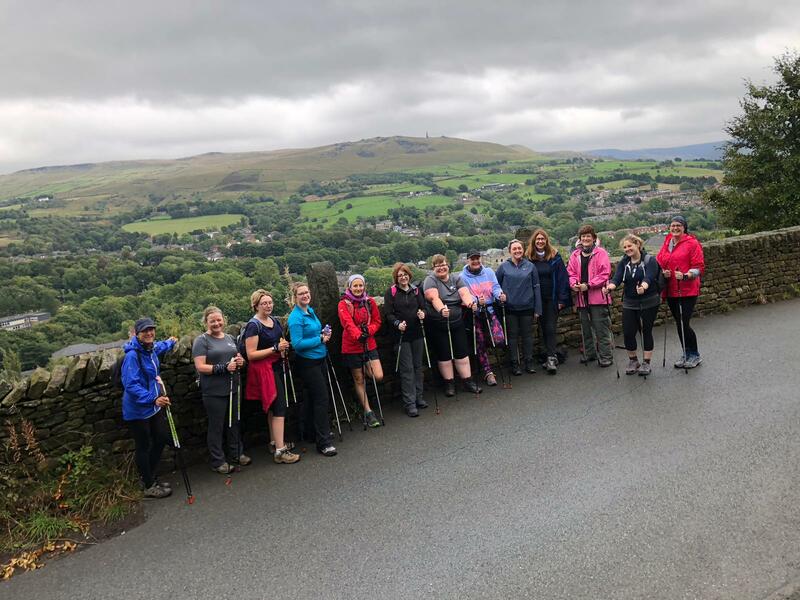 We started in the Saddleworth Leisure Centre car park (dropped off by the fabulous Pamela who’d been minibussing us around all weekend), learning how to undertake Nordic Walking in the car park first. We then headed back down the hill, back to the minibus, and headed back to the hotel (got caught in the traffic after M62 crash), and had lunch. 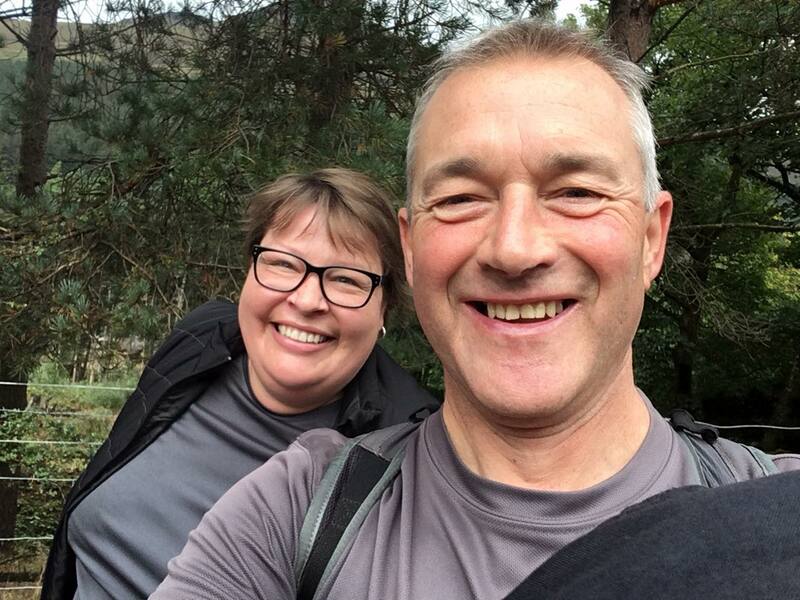 We were, ahem, super-prepared (no card, no cashpoints), but managed to gift Jo some cash to put towards the next retreat so others can undertake this, as we’re so appreciative of the value of this event. 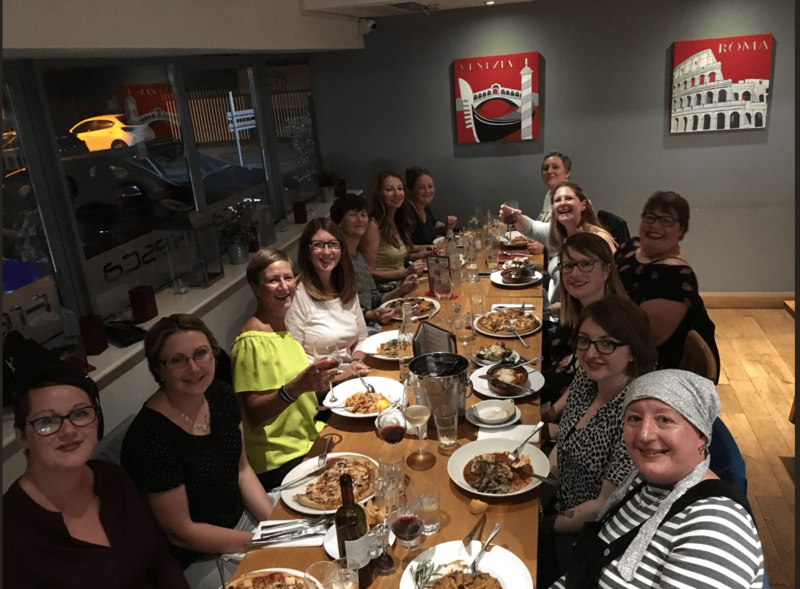 Jo is currently fundraising with the hope of being able to run 5 more of these events next summer (and here’s her blog about the June retreat).